This review of bet365 is based on our own opinions. You need to be 18+ years old to become a member at bet365. bet365 encourages responsible gambling. bet365 is according to us a leading online betting company based in the UK, and they’ve been providing sports betting and casino games for many years now. One of their latest goals seems to be to become the best choice for esports betting. And thanks to their superb selection of esports and variety of odds we’d say that they’re close to getting there. Within their selection, you’ll find odds for popular games such as League of Legends, CSGO and Dota 2. When you click your way through to bet365, you’ll encounter a pleasantly green & gray site with loads of gambling products. Despite having that many products available we still think that it’s super easy to browse the website and find your way around. You’re just one single click away from entering the esports section. bet365 is without a doubt an excellent choice if you’re looking to place bets on esports. You’ll find all the games that you love. The website is in our opinion extremely user-friendly and accessible, explore the huge sports selection with ease! Their impressive customer service is always on hand ready to give you any assistance needed. Our experience is that this company is truly leading the way for esports betting. 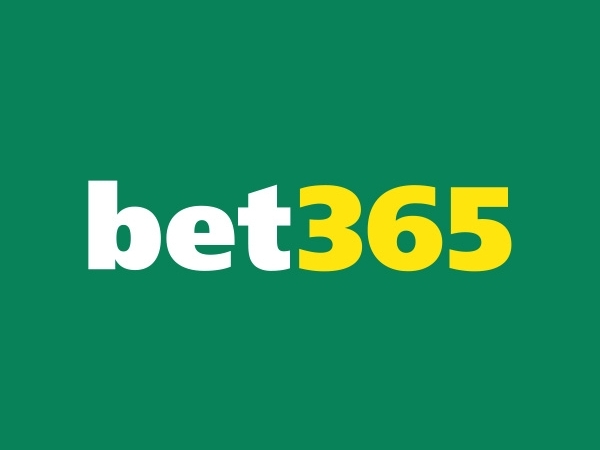 When we first visited bet365, we instantly got a view of the huge selection of sports betting odds. If a company want to maintain its leading position, it must be innovative and continually add new features. That’s why esports, which is one of the fastest growing sports today, has become such a common market in most sportsbooks. And as an esports enthusiast, you won’t be disappointed by the number of esports games on this site. The three most popular titles League of Legends, CSGO and Dota 2 are of course available for betting. But the fun doesn’t end there because you’ll also find following in their esports section: Starcraft 2, World of Tanks, Hearthstone, Overwatch, Heroes of the Storm, Call of Duty, NBA2K, PlayerUnknown’s Battlegrounds (PUBG), Fortnite and Rocket League. As you can see it’s a nearly flawless list of games to choose from which will keep you entertained for quite a while. You’ll notice a variety of odds when you take a closer look at the esports section. And the type of odds also differs between the games. Take League of Legends for example; this is a game where you get to bet on Match Winner, Team to Draw First Blood, Team to Score the Most Kills and lots more. The list could go on; there are endless betting opportunities for every single esports game. If esports alone isn’t enough, they also have almost all the traditional sports in the world for you to explore. How about NFL’s Super Bowl or European top football leagues? Perhaps you’re into Speedway? As you probably can tell by now, there’s always something new and different to try at bet365. Nowadays, it’s crucial to have a mobile compatible website, and bet365 really delivers on that front. Thanks to a clean interface the process of creating an account is super smooth, and you’re ready to bet on esports in no time. Online betting is always within reach once you’ve become a member, have a blast while stuck in traffic, having lunch or whenever you have time to kill. The user experience is just as good when using their mobile app available for iOS and Android devices. To be honest, few gambling companies can compare to bet365 when it comes to mobile compatibility. Experience live esports betting at bet365 and choose from hundreds of odds. Head over to ‘In-Play’ in the main menu or in the left navigation bar to get a proper view of every sport. When you’ve entered the In-Play section, you can dive into any event of your liking. You’ll also find a schedule of upcoming matches and tournaments. We’re glad to see esports listed among the live odds. And if you want to get that little extra out of your betting you can also stream esports matches directly on their website. They usually stream bigger tournaments like League of Legends World Championship or CSGO and Dota 2 Majors. If you run into problems, it’s always nice to have a helpful support team just around the corner, which is what you have at bet365. Their customer service is available and ready 24/7. If your matter is urgent, we recommend to contact them either via live chat or by phone, that’s at least what we did. It did take a while to receive a response when we tried to contact them via e-mail. We believe that bet365 has an overall a world-class customer service. Also, make sure to check out their FAQ where you’ll find solutions to a lot of common issues. We didn’t encounter any issues when we made our first deposit. Everything went smoothly from the get-go, we also didn’t have any problem finding our preferred banking method. Same goes for when we cashed out our winnings; we had plenty of withdrawal options to choose from. A huge plus is that we received our cash just within a few banking days. Everything is laid out perfectly with all odds markets and gambling products within reach. The main menu and left navigation bar make it easy to browse the site. Find your way to League of Legends, CSGO and other awesome games by clicking on “E-Sports” in the navigation bar. If there’s anything you need help with, just visit ‘Services’ and ‘Help’. Over there you’ll find popular help topics such as Depositing funds, Understanding Multiple Bets, Browser Issues and much more. Being one of the biggest sportsbooks, you can be sure to find plenty of different bet types and live betting. In some cases, you can even live stream esports events, which is really cool and rare for that matter.